This activity allows students to practice "step by step order" and sequencing. 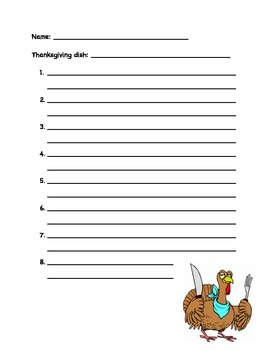 After reviewing how recipes are written, students will pre-write about about their favorite Thanksgiving dish. After they have completed the pre-writing activity, they may finalize their thoughts on the second activity to turn in. 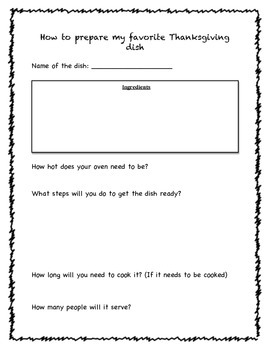 I will compile these papers and make a class cookbook to give parents before Thanksgiving!